Daily missions is the easiest way to earn gold. By completing various tasks, you get gold. There are four chests that can be opened in Daily Missions each day. These all provide an amount of gold, diamonds and experience. 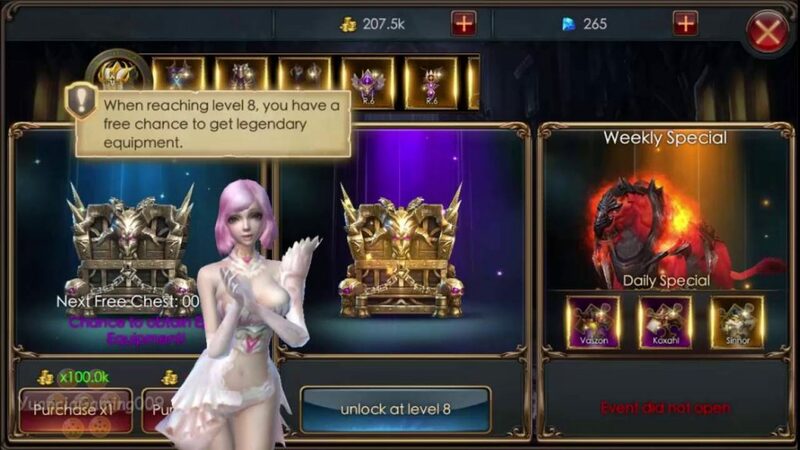 Completing these Daily Missions very profitable as you receive gold to spend on your upgrades, experience to level up to enter tougher dungeons. The diamonds you gain can be also used to get more gold. Just by logging in, you get rewarded just for playing daily. 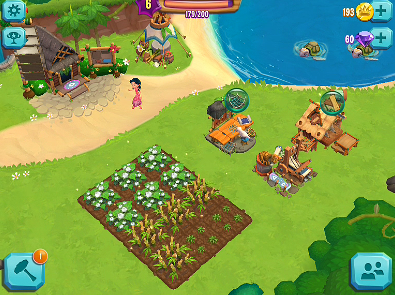 Besides the all important gold, logging in also includes various resources ranging from pet fragments and diamonds. Each month is divided into different days. So, depending on how long the month is, once you reach different checkpoints in the month, you also get extra chest rewards that contain gold and diamonds! The storyline provides a good amount of gold. Entering a main stage requires 5 energy. You get additional gold for opening cards after completing a stage. It is always recommended to aim for 3 stars for better rewards! Not only do you get double rewards for 3 stars, it also allows you to blitz the mission. Blitz allows you to complete the stage without having to play it! Upon completing certain stages, you will get progressive chest rewards. At these points you will receive some gold depending on which stage and which chapter your reward is for. 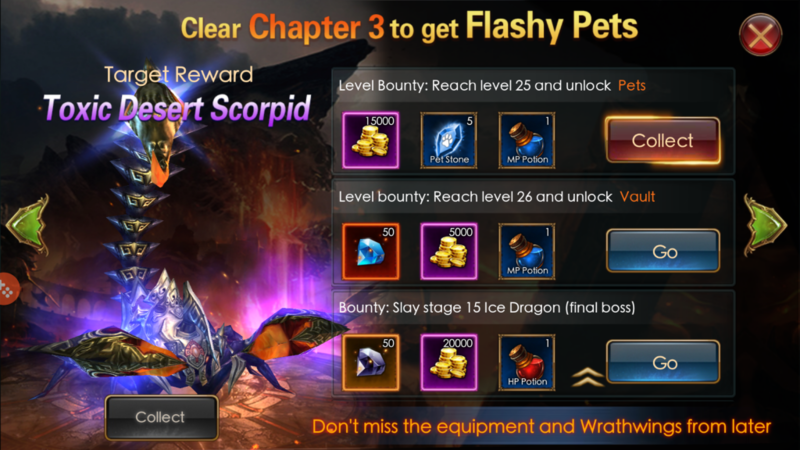 For each chapter, you can get 3 bonus chests. It requires you to earn 12, 24 and 36 stars for that particular chapter. You will need to get all 3 stars completion for each stage to get the final chest. Main mission quests will net you gold and also awesome items. They are easy to follow and you should have no problem getting most basic items and gold. Occasionally, you will get bounties as a side quest and you can go do them for bonus gold, diamonds and Hp/Mp potions. Another great way to earn gold is to open the vault daily! 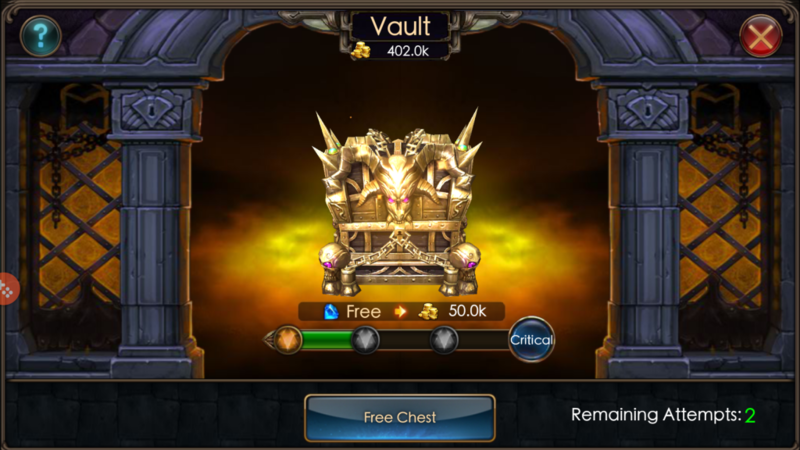 You will have 3 chances to open the vault daily and receive 50,000 gold each time. The gold you get will increase depending on your VIP level. Since most are free to play, assume to get 150,000 gold daily. Every 4th time you open the vault, you will receive what is a “Critical”. By having a “Critical”, you get 2 to 10 times more gold depending on luck. It does require you to spend diamonds since you only get 3 chances a day. 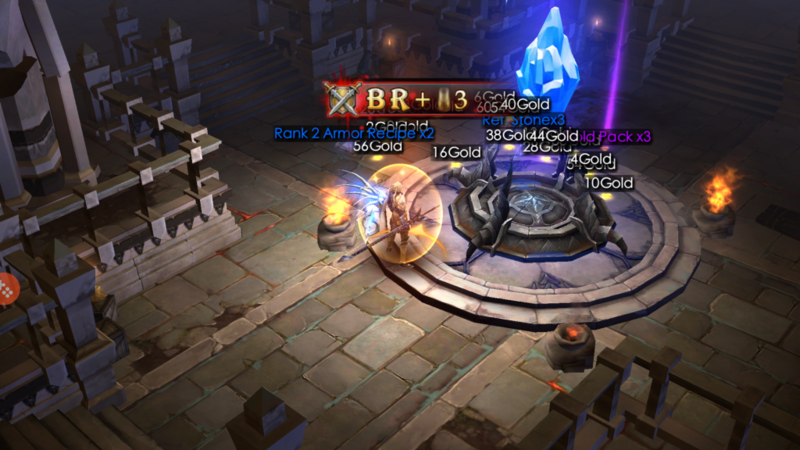 Perhaps the fastest way to earn gold is the gold dungeon! Each day, you get to enter it. Depending on your level, you enter different stages of the gold dungeon each day, being 10, 20, 30 etc. Higher levels will give you more gold. Another key thing is that your VIP level will increase the gold you get. The changes occur at VIP 1, VIP 5, VIP 8 and more. The amount of gold you receive is increased by 10%. For example, at VIP 1, 10%. VIP 2, 20% etc. Plunder requires the help of guildies and requires you to be in a guild. At certain points during the day, chests and bosses will spawn in plunder. The 25 chests that spawn, contain mini reward bags that may contain gold, diamonds and maybe an equipment. When all 25 chests has been opened, 3 supreme chests will spawn. They provide the largest amount of gold, top tier equipment and good amount of diamonds. When your guildies pick up the loot, you will also get the rewards. Joining a decent guild is vital to getting more gold. A good one will usually net you 1 million gold per plunder! This is a daily way to earn more gold. You get anywhere between 36,000 gold to 38,000 for worshipping the best blademaster, best sorceress and best berserker in your server. This is similar to worshipping the best 3 players in your guild, but you earn around 100,000 gold on a daily basis. Always make sure to do this and don’t forget! The gold adds up! You can also earn double the amount by spending diamonds, but I wouldn’t recommend it unless you don’t have other priorities such as upgrading armor or weapons. Mysterious Holisom is a randomly generated event given to a player a different times during the day. Once you complete a room, you will obtain a chest that gives R1 to R3 piece gear and 10,000 gold. You can help other players with their Holisom and get another 10,000 gold. That concludes the guide. Hope this helps you get more gold for higher battle ratings!